Are you looking for the perfect family home? Look no more, this lovely 4 bedroom, 3 bath home has it all! Large backyard with with a pool and plenty of space to entertain during the hot summer months. You even get two master bedrooms to accommodate your in-laws or guests! The home boasts a large master bedroom upstairs, a family room with a built in book shelve, a formal living room with a fireplace to keep you warm while you enjoy your hot cup of tea and a good book! A master bedroom downstairs and 2 additional spacious bedrooms is perfect for a growing family! The kitchen features granite counter tops. 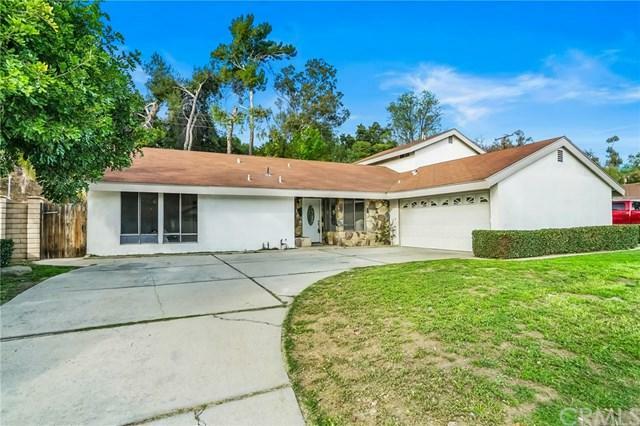 The home is situated in a tree lined serene street and is within walking distance to Golden Springs Elementary. Your home will be the highlight of your social gatherings and is the perfect place to raise a family!